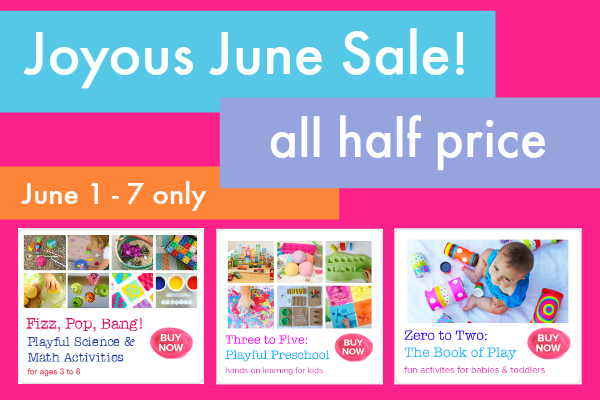 June is here and we are so excited!! I am especially stoked for school to be ending next week. 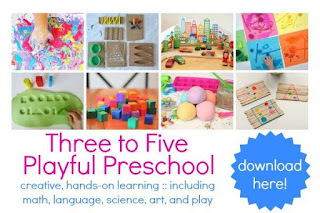 My toddler and I are having fun with our "A Very Toddler Summer" series right now and we can't wait for my big kids to be home to play with us too! If you have kids ages 0-8 you are going to want to check out my three e-books (that are on sale for half price this week) filled with loads of creative ideas! One thing that happens every summer is that I want to just relax and not schedule anything... so I don't. Then after about a week or two of nothing scheduled we start to go a little bit crazy. 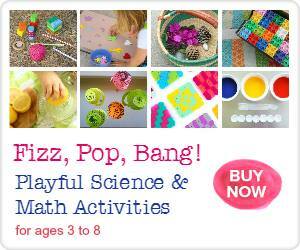 This summer I am planning to pull out my creative and crafty e-books and do several of the activities with the kids! 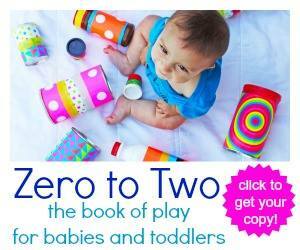 I loved these e-books because the are filled with fun and simple activities. 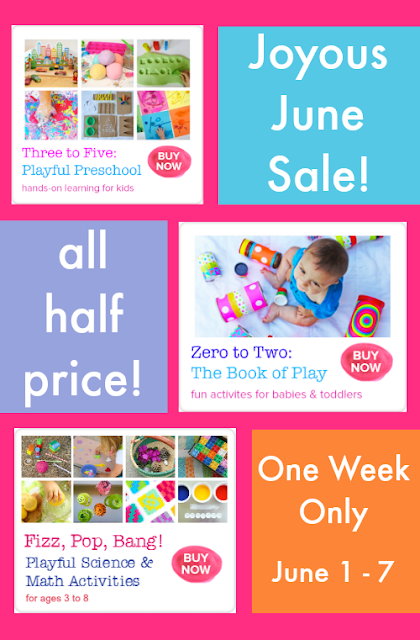 If you're in the same boat as me or are just looking for summer ideas you are going to love this Joyous June SUPER HALF OFF SALE that I am sharing with you today! Use code june02 in the ‘Discount Code’ box. use code june35 in the ‘Discount Code’ box. Use code junefizz in the ‘Discount Code’ box. Save $14 and get all three for half price – this week only!